Download Rasm-e-Duniya OST in mp3. This OST has been sung Ali Azmat and lyrics has been written by Sabir Zafar where the title song has been composed by Waqar Ali. 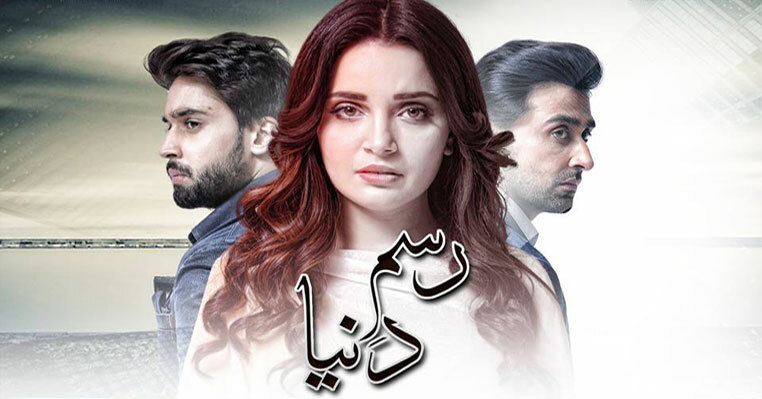 The main cast of drama is Armeena Khan, Bilal Abaas and Sami Khan. This is another drama in which we will see love triangle. Usually it is sisters who love the same guy in dramas but in this drama you will see that two brother fall in love with one girl. Could not say much about the story of drama bus you can get some idea from the OST video following. Ali Azmat is singing after a long time specially for the drama and he did really good job. The lyrics of the song is also fine and set perfect with the voice of Ali Azmat. You can download the title song of Rasm-e-Duniya below.